A complete solution to your home insurance claim repairs – One company. Every trade. 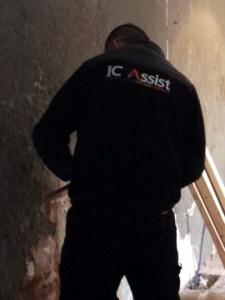 IC Assist provide a wide range of building services that cater for all types of insurance claim repairs. So there’s no need for you to waste time getting quotes from several different companies. We have a team of professional tradesmen that can repair any type of damage. From damage caused by a minor leak, to a complete property refurbishment following a flood. So, you can rely on us to help no matter what the damage. We provide a tailored service that takes care of all aspects of your claim – from survey to completion. During our FREE assessment of the damage, we’ll explain the claims process and what work is necessary to restore your property. Our team work hard to deliver professional, high quality repairs and will protect your home and belongings. This ensures our customers are happy throughout the entire process. Our standards are very high and we pride ourselves on doing a job right first time. Whilst our contractors are carrying out the work, our Claims Manager will pop in regularly to ensure that you’re happy at every stage. We also provide a 12 month guarantee for total peace of mind. But that’s not the only reason you should choose IC Assist. Your satisfaction is our priority and we aim to cause minimum disruption to you and your family while we are carrying out the repairs. 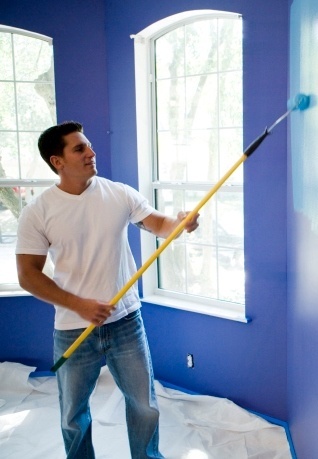 Our tradesmen will respect your home and belongings and will therefore use protective sheeting to ensure your property is clean and tidy at the end of every day. Once all the reinstatement work is complete, our waste carriers will take away all the rubbish. Please have a browse through our before, during and after pictures of home insurance repairs we have carried out. Why manage the repairs yourself, when you can leave it all to us? Dealing with an insurance claim yourself isn’t easy. Trying to organise several quotes for your insurer is not only frustrating, time consuming and unnecessary. But often home owners don’t have the building expertise. IC Assist however, have the experience and knowledge to handle everything – the survey, the quote for your insurer and our contractors. We do not charge you or your insurer for managing your claim, providing we carry out all the repairs. So why waste your time arranging quotes and managing tradesmen, when we do it all free of charge? Be aware of fees for professional services overlooked by insurers! We have managed many claims where insurers have overlooked fees for professional services required to carry out the insurance claim repairs. Should your claim require any of the following professional services, we will ensure that your insurer pays these costs (providing your policy covers them). Party Wall Surveyor – to comply with the Party Wall Act. If your boundary wall has been damaged and you share it with your adjoining neighbour, you are required by law to serve them a Party Wall Notice (as per the Party Wall Act 1996). It is crucial that this is done correctly as you are unable to start any repairs to your home, until your neighbour consents to the proposed work. Don’t worry, we can instruct a Party Wall Surveyor to ensure that you comply. Building Control Officer – for structural property repairs. Where repairs are of a structural nature such as replacing rotten joists or load bearing walls etc, Building Control must be notified. Furthermore, an application outlining the proposed works must be submitted before any restoration work is carried out. As part of our service we will complete all the necessary paperwork and liaise with your Local Authority’s inspectors, to ensure all joist replacement complies with current building regulations. On completion of the structural work, Building control will issue a Certificate Of Completion. We will ensure that you are given a copy of this for your records. Structural surveyors. If your property has suffered from fire or impact damage, a structural surveyor may be required to assesses the damage, ensuring you and your family are not put at risk. This is something that we can also arrange for you.